High levels of phosphate lead to slower calcium uptake by coral and calcium dependent organisms. 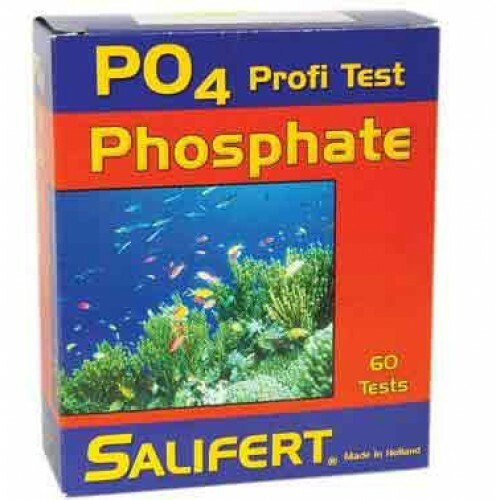 This is why it is so important to test for phosphate plus, high amounts of phosphate lead to unsightly algae problems and unbalanced water chemistry. Erroneous results might be obtained when the carbonate hardness is higher than 20dKH. This corresponds to an alkalinity of 7meq/l.0, normally the carbonate hardness is well below the above mentioned values. Add to vail 4 drops of PO4-1 reagent and swirl the test vial gently for 10 seconds. Place the open test vial on top of the color chart on a part of the chart which is white and compare the colors looking from the top. 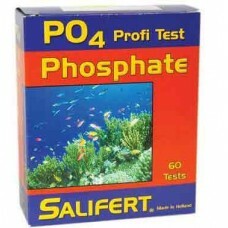 Read the corresponding phosphate content. An intermediate color corresponds to intermediate phosphate content.